LIVE from Dragon Con 2017! Dave – formerly and sometimes still known as Phantom Troublemaker – is joined by Nicole Gould, Rebeccah Hunter, Michael Bailey, Gary Mitchel, and Noel Wood for an all-new panel about the pop culture from thirty years ago! 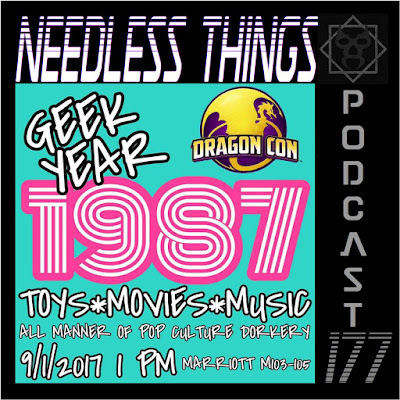 Listen in as the panelists and audience share their favorite things – from Spaceballs to Guns N’ Roses, we’ve got the year covered, LIVE from Dragon Con! You can follow Phantom Troublemaker on Facebook, Twitter, and Instagram for Dragon Con news! If you’re here checking out Dragon Con stuff and haven’t visited Needless Things before, thanks for coming by. 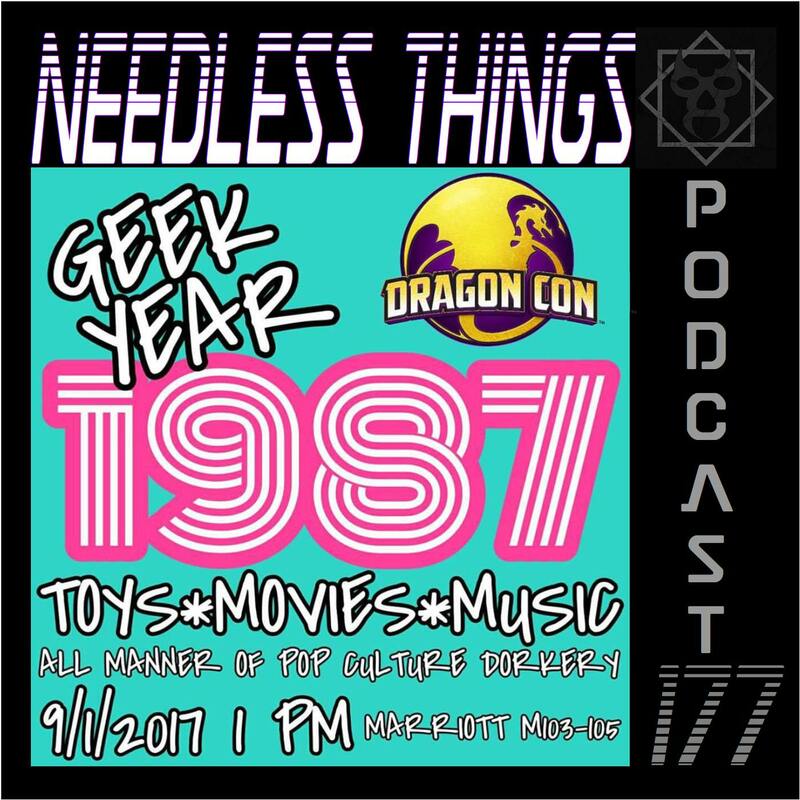 We’re all about toys, movies, music, and all manner of pop culture dorkery. The Needless Things Podcast drops once a week, usually on Friday. Be sure to come back in October for our 31 Days of Halloween! It lasts all month long and everything on the site is thoroughly Halloweeny!